This year’s summer blockbuster wasn’t just for Beverly Hills chihuahuas, but it was all for dogs. DirecTV just launched the DogTV network, showing three-to-five-minute videos alternating among “relaxing” programming (landscapes), “stimulating” themes (dogs cavorting) and “exposure” content with images and sounds that often scare dogs (fireworks, thunderstorms). The idea is to condition dogs to overcome their fears, says DogTV co-founder Ron Levi, as well as to enrich their experience while they await their owner’s return. The 24/7 network is free to DirecTV subscribers until Aug. 14. After that, there will be a $4.99 monthly charge. For full-time workers who already pay for daily dogwalks, that isn’t much of a surcharge for the possibility of an incremental increase in our best friend’s contentment. Before launching, Levi says DogTV consulted animal psychologists, trainers and research that shows certain sounds can calm a dog. 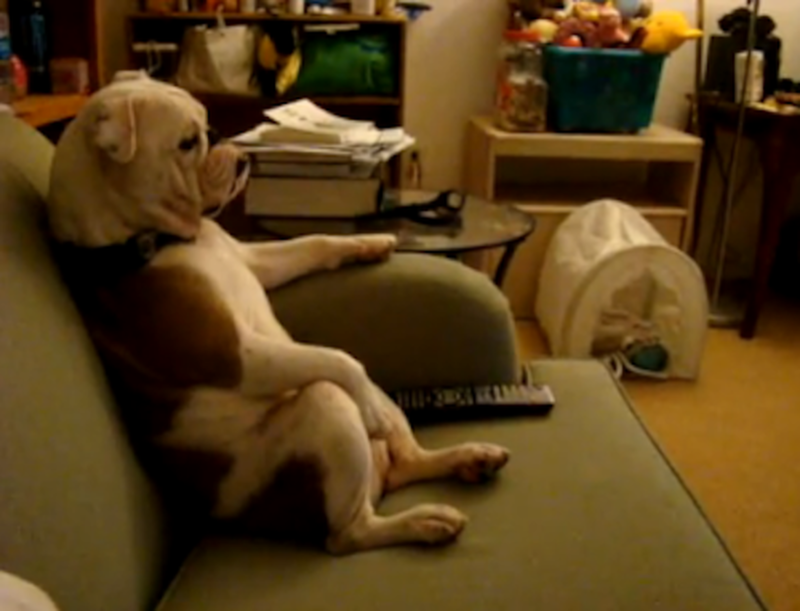 After field-testing dogs’ reactions to the programming, the founders toned down the barking on the channel, because it seemed to irritate canine viewers. “The human eye discerns flickering movement at a rate of 50-60 Hz while in dogs, that same ‘flicker fusion rate’ is as high as 70-80 Hz. 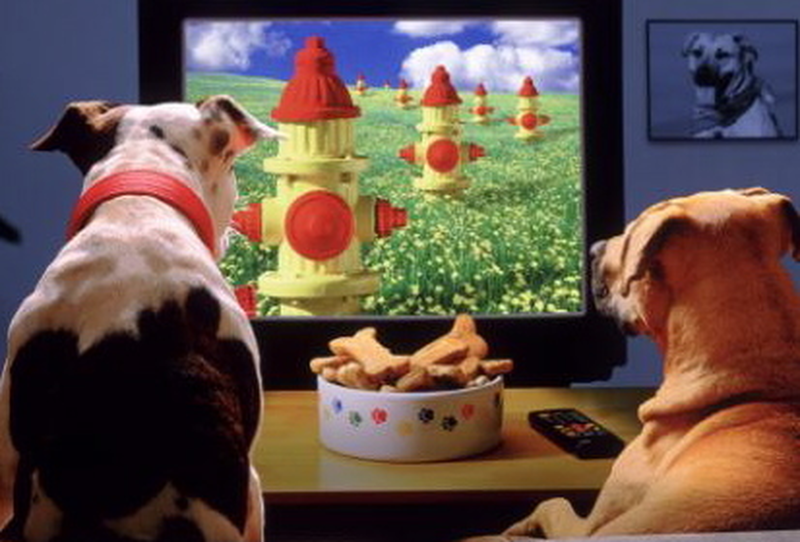 Older television sets, with a CRT screen, refreshed their picture at a rate of 50-60 Hz with the result of a smooth picture for humans and a flicker nightmare for dogs. New LCD technology however, has changed all that. The refresh rate on the newer television screens is now 100Hz and up, perfect for continuous canine viewing.” The colors on the screen, the brightness and contrast are adjusted to fit dogs’ hearing and seeing abilities (so some of it may look or sound odd to you). If DogTV seems to take niche programming to an extreme, consider that nearly 57 million U.S. households own dogs, for a total of about 83 million dogs owned, according to the American Pet Products Association. Total U.S. spending on pets is expected to hit a record $56 billion this year, up from $53 billion last year and $51 billion in 2011, according to the APPA. The refresh rate on the newer television screens is now 100Hz and up, perfect for continuous canine viewing.